A suitcase-trailing family rolls into new beginnings. Foreign, distorted and bright, the world resembles a haven of comfort. A miniature Utopia. But as their walls and lives are peeled back the community’s murky environment is revealed. 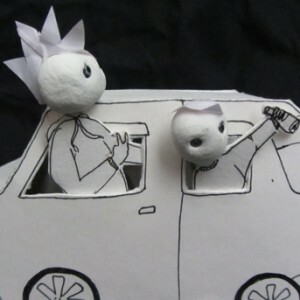 Feral is an innovative piece of visual, mixed-media theatre which combines puppetry, film and live sound to create and destroy a world in front of its audience’s eyes. From the team behind Grit (Total Theatre nominee, Arches Brick nominee).